One of the most important safety mechanisms in a vehicle is the brake system. When the brakes are applied, the pressure is transmitted to the brake lines which contain the brake fluid. This very pressure from the brake lines pushes the disc or drum against the wheels, making the car stop. The most common cause of brake failure is a leak in the brake lines. The brake fluid gradually drains out, till there is not enough left to transmit the adequate pressure from the pedal to the wheels. Also, sometimes, the disc or drum begins to malfunction, and the wheels do not come to a halt. The idea of a failed break in a speeding car is terrifying but then, it is a very rare occurrence. considering how important brakes are, to ensure proper performance, it is mandatory that they get inspected regularly– a minimum of every six months or 10,000 kilometers. Brakes feel spongy or hard to press down. On applying brakes, your car pulls to one side. On applying brakes, the steering wheel or brake pedal shakes. The ABS warning lights keep flashing. In the event of any one or more of the above-stated symptoms, rush your car to the nearest certified service center and get it checked and/or serviced so as to prevent any grave accidents. However, If an Event the Brakes Do Collapse Without Any Warning, The Driver Can Follow the Following Steps. Staying Calm: The first and most crucial thing is to not panic. Although, this may seem like ineffectual advice, staying calm and unnerved is the first step towards handling a brake mishap. If the driver is not composed, she/he might mistakenly go to a higher gear and accelerate the car, thereby, losing total control and ramming the car. Slowing Down the Car: When the brakes fail, the car keeps on moving at a steady speed. It should not pose a problem as long as it is not on highway speed. If the car is speeding at 90kmph or more, the accelerator has to be immediately let go off so that the speed gradually falls to a more controllable range like 70 or 75kmph. Besides that, the cruise control or speed control must be toggled off. Changing Gear: The driver has to change to a lower gear. If it is a stick/manual gear operated car then the driver can skip two gears at the most and go to a lower option, without losing stability. Even then the car is not expected to show a great change in the speed because the brakes cannot be applied. However, if the steering wheel is kept steady, the car will slow down soon enough and then the handbrake can be pulled. The car should be moving at a slow and steady speed when the handbrake is pulled because the back tires will immediately come to a halt. Skidding can be prevented if the vehicle is slow and steady. If the car is an automatic, then the gear cannot be changed so the driver should keep the wheel steady and pull the handbrake very slowly. Pumping the Brake Pedal: If the brakes feel loose when they are pressed, then there is low brake fluid. In that case, one could pump the brakes to create pressure. This will take a while, so the driver has to be persistent. Then if it feels like enough pressure has been built, regardless of whether the car has an anti-lock brake system, the driver has to fully press the break down so as to make most of the built-up pressure. Driving Zigzag: If the road is wide enough, then the driver can move the car in a zigzag pattern so that the wheels create enough friction for the car to slow down. When the speed is sufficiently less, the driver can pull the handbrake or make the vehicle slowly ramble until it comes to a pause. 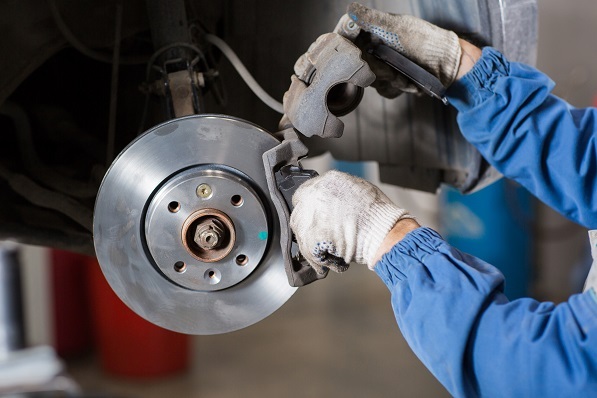 Brakes can fail any time while driving and as mentioned earlier, it can be because of a leakage in the brake line or some other mechanical glitch like the malfunction of the disc or drum. 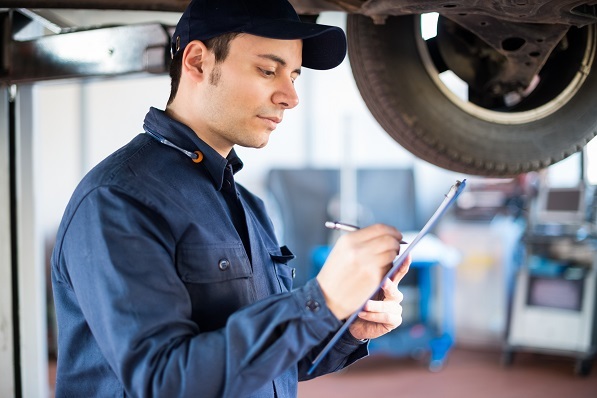 Regularly servicing the car and checking on the brake oil can be possible prevention but in case the brake fails, crashing the car is not the only option—it is not an option at all. The above pointers can be followed by a driver to bring her/his car to a stop.